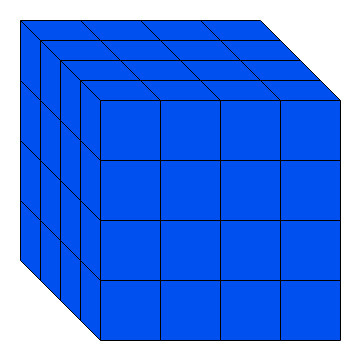 A solid, n-inch cube of wood is coated with blue paint on all six sides. Then the cube is cut into smaller one-inch cubes. 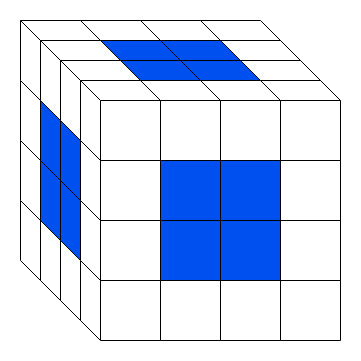 These new one-inch cubes will have either Three blue sides, Two blue sides, One blue side, or No blue sides. 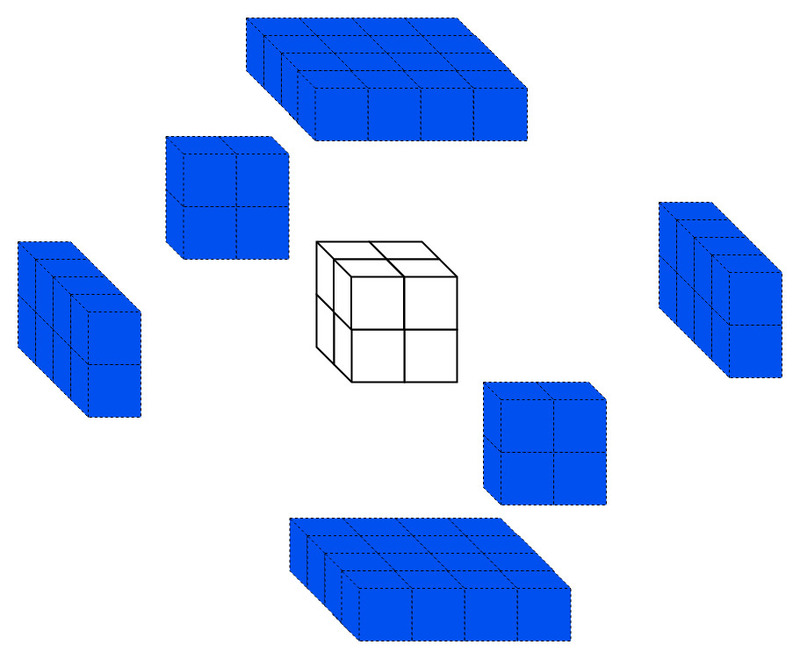 How many of each type 1 – inch cube will there be? This puzzle can be solved logically or mathematically. 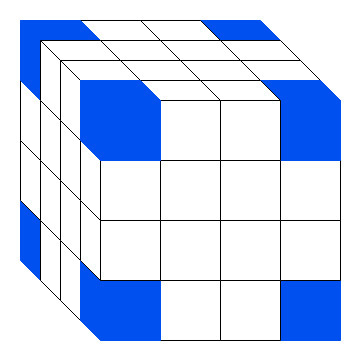 A solid, 4-inch cube of wood is coated with blue paint on all six sides.Then the cube is cut into smaller one-inch cubes.These new one-inch cubes will have either Three blue sides, Two blue sides, One blue side, or No blue sides.then How many of each 1-inch cube will there be? 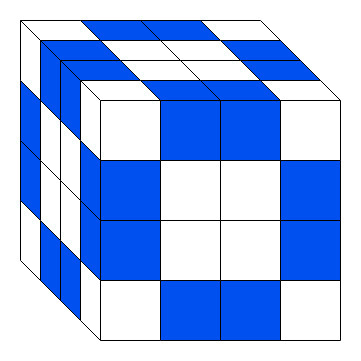 A solid, 8-inch cube of wood is coated with blue paint on all six sides.Then the cube is cut into smaller one-inch cubes.These new one-inch cubes will have either Three blue sides, Two blue sides, One blue side, or No blue sides.then How many of each 1-inch cube will there be?